If you are 65 or older you may find yourself living alone. According to the Population Reference Bureau report, “Aging in the United States,” (January 2016) more than one-fourth of women ages 65 to 74 lived alone in 2014. For women ages 75 to 84 this number increased to 42 percent. The number goes up 56 percent for women ages 85 and older. The death or divorce of a spouse are the top two most stressful life events an individual can experience. And, they are the biggest reasons seniors end up living alone. Furthermore, as an older adult, you may find yourself in this position for the first time in your life. Decades ago the majority of young men and women went from living under a parent’s roof to living with a spouse. They never experienced or learned how to live alone. Safety-proof your home. According to the Centers for Disease Control and Prevention every 20 minutes an older adult dies from a fall in the United States. More than 95% of hip fractures are caused by falling. And falls are the most common cause of traumatic brain injury. Clean up all clutter in your home which can pose a fall hazard; make a clear path for highly used traffic areas; wear non-slip shoes both inside and outside the home; install grab bars in the tub/shower/toilet area; use a non-skid bath mat; carry a portable phone from room to room; eliminate small throw rugs and electrical cords which can become a fall hazard; and always change your clothes in a carpeted area. Keep important contact information handy. In case of an emergency have the contact information of your family members; primary care physician; and a list of medications posted in a highly visible location in your home (the refrigerator is a good spot). Type the same information on a small card and tuck it behind your driver’s license in your wallet in case you have a car accident or medical emergency while away from home. Don’t isolate yourself. After the loss of a spouse, many seniors retreat from social activities. However, studies show that being lonely and isolated can be as bad for your health as smoking 15 cigarettes a day or abusing alcohol. Make an effort to maintain a social schedule. Check-in regularly with phone calls to family and friends. Make a date with a friend or relative for coffee or lunch. Consider volunteering at the performing arts center in your area. You will meet people and enjoy watching a live performance at no charge. Make a point to go out of your house, every day. Simply saying hello to the person behind the counter at the dry cleaner or pharmacy is a form of social interaction and good for your health. Move into a senior living facility. 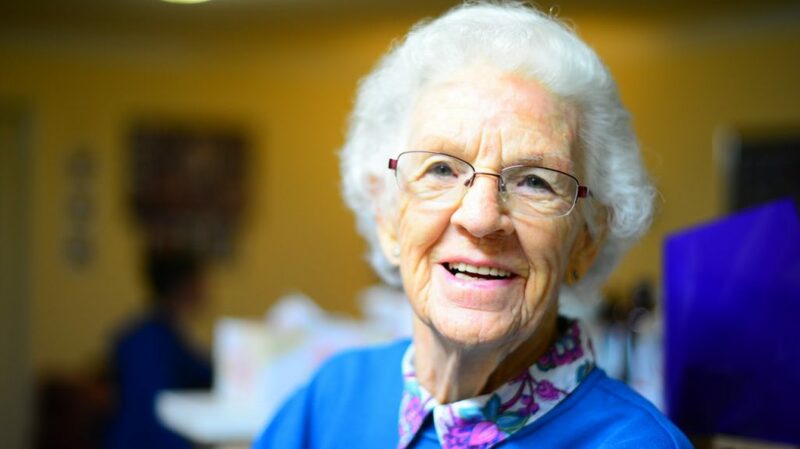 If you are having a difficult time keeping up with the demands of maintaining your home and the daily tasks of living, consider moving into some type of senior housing facility. There are a broad range of options available from independent living communities to those which offer varying degrees of assistance.